On Tuesday, President Obama vetoed a bill authorizing the Keystone XL pipeline on Tuesday, marking the president’s third veto of his presidency and likely the first of many during his final two years in office under a Republican-led Congress. Yes, Obama opted against making the pipeline that would have carried petroleum from as far as Canada to the Gulf Coast, but the battle is far from over. The Keystone XL pipeline has long been a topic of contention for Democrats and Republicans. The U.S. State Department has been reviewing the pipeline’s potential for national interest for over six years. Republicans support the creation of the pipeline because of its job creation potential and its potential boost the country’s infrastructure. On the other hand, Democrats oppose the bill for environmental reasons, as the pipeline could contribute to climate change. The allure of appeasing environmental extremists may be too powerful for the president to ignore. But the president is sadly mistaken if he thinks vetoing this bill will end this fight. Far from it. We are just getting started. McConnell vowed that the Senate would vote no later than March 3 to override the president’s veto. However, much as Republicans may try, an override of the veto is unlikely. In order to override Obama’s veto, they’ll need at least two-thirds of votes in each chamber. When the bill that Obama just vetoed passed, it only passed the House 270-152 and the Senate 62-36. These margins are far from the requisite two-thirds. Moreover, Republicans aren't the only ones who are “just getting started.” By vetoing the bill, Obama asserts his authority to postpone the decision on the pipeline’s creation until the U.S. State Department completes its environmental and regulatory assessments of the project. 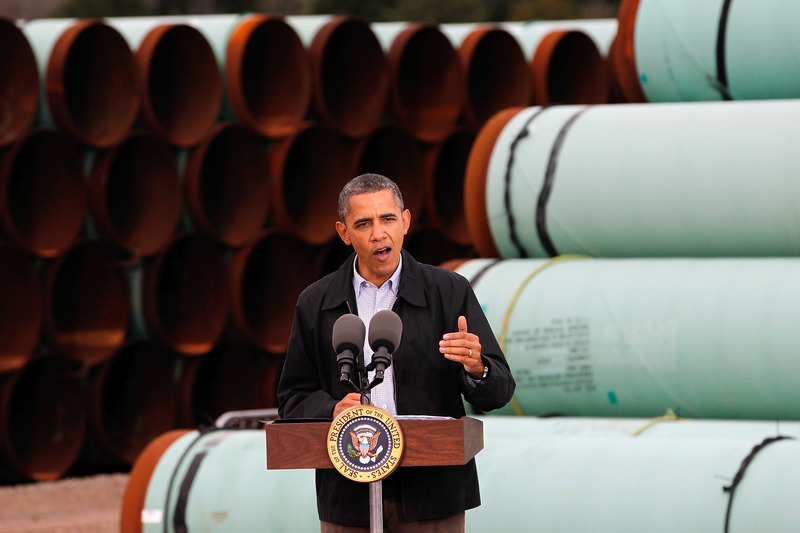 The president's veto holds symbolic power outside of just the Keystone XL pipeline debate, though. As The New York Times points out, Obama’s first-ever rejection of major legislation during his presidency is also a show of his strength to Republicans and a sign that he will be fighting back and standing his ground on his opinions. In this particular instance, Obama’s veto of the environmentally controversial pipeline project reasserts his dedication to addressing climate change. With no one eager to back down, the political stalemate looks like it will be here to stay — at least for the next two years. Obama could make the final decision on the Keystone XL pipeline, or he could keep pushing the decision down the road until it lands in the hands of the country’s next president.